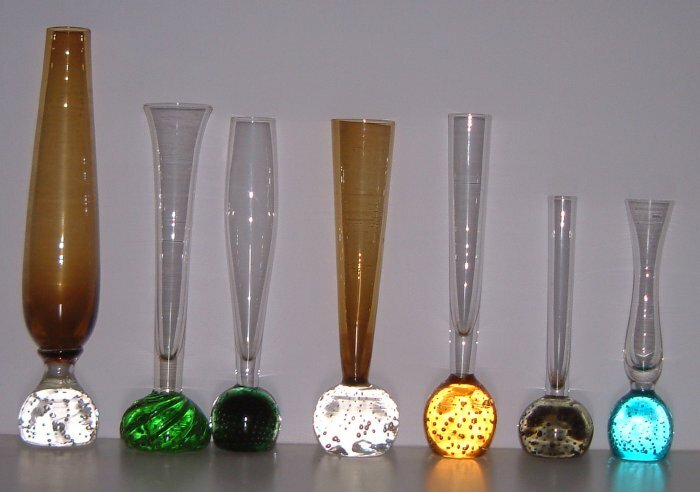 I have tried where possible to choose vases of the same size to show the differences in shape. 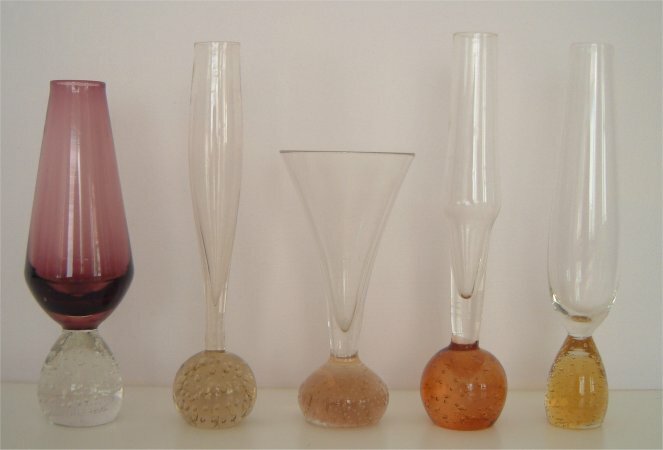 The most common shape I have come across is the gently flared shape as shown by the vase third from the right in the top picture. 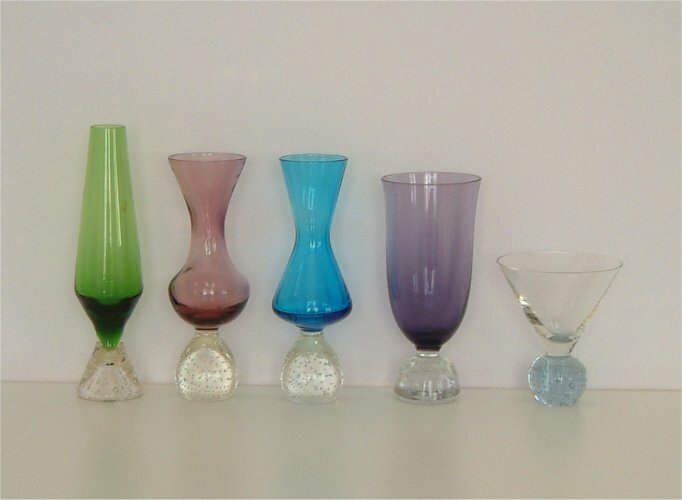 The two on the right of this picture look like they could be glasses rather than vases. Perhaps the only survivors of a set?